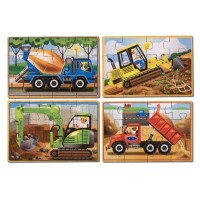 What a wonderful wooden toy set for children who love playing with wooden blocks and building and demolishing towers and who are ready to begin learning the alphabet and basic spelling. 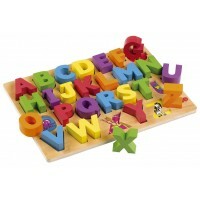 The smooth wooden tray contains colourful wooden blocks in a variety of colours and each of which has been decorated with a letter of the alphabet. Playing with these blocks will teach children about colours as well as letters and grownups will be able to introduce simple words and names as they play. 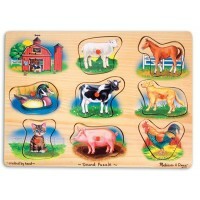 This classic wooden toy would make a wonderful present for inquisitive children who love learning while having fun! This pack consists of 30 blocks, each of which is a 4cm cube. Bought this on behalf of my daughter for her son for a Christmas present and she is extremely pleased with the wooden blocks.